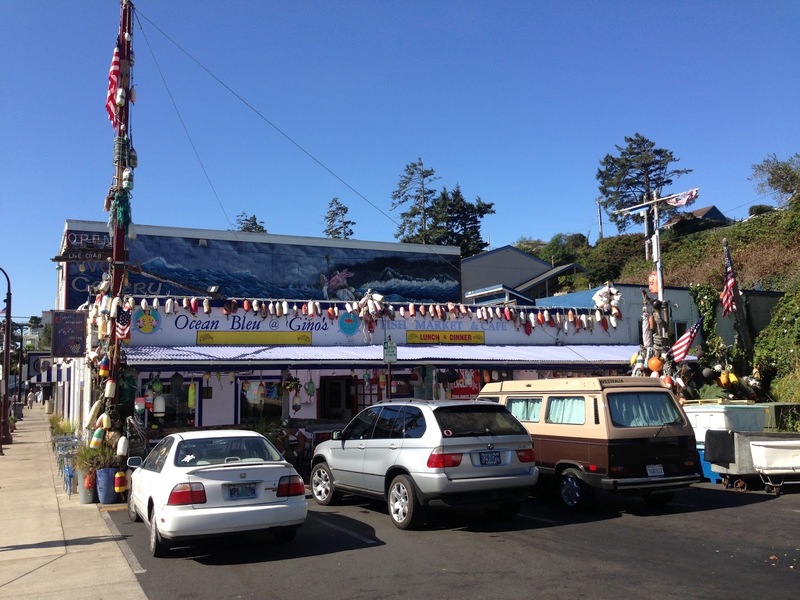 In 1983 Gino Freson opened Gino's Fish Market and Deli here across the street from the charterer boats and barking California sea lions on the historic bayfront of Newport, Oregon. 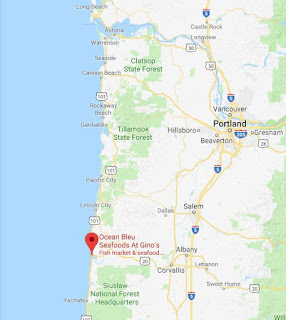 Newport, constructed where the Yaquina River meets the Pacific, is the largest city on the central Oregon coast and might well have become the largest city in Oregon but for a couple snapped steamboat cables that may or may not have been an accident. 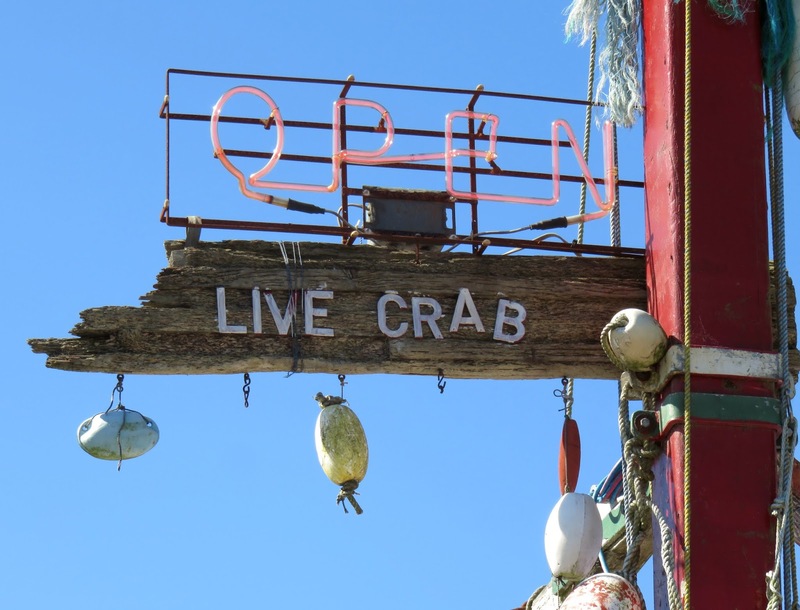 European settlers began homesteading in the Yaquina Bay area in 1864. 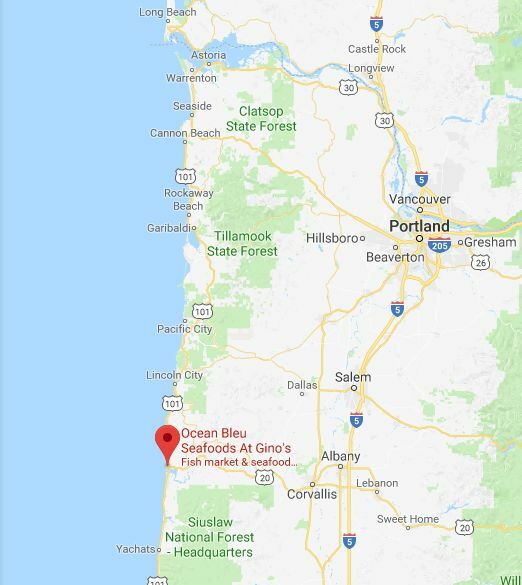 It is now tourist-central of the Oregon coast, populated by glass art galleries and candle shops, restaurants and bars, the aquarium and Ripley's Believe It or Not Museum. 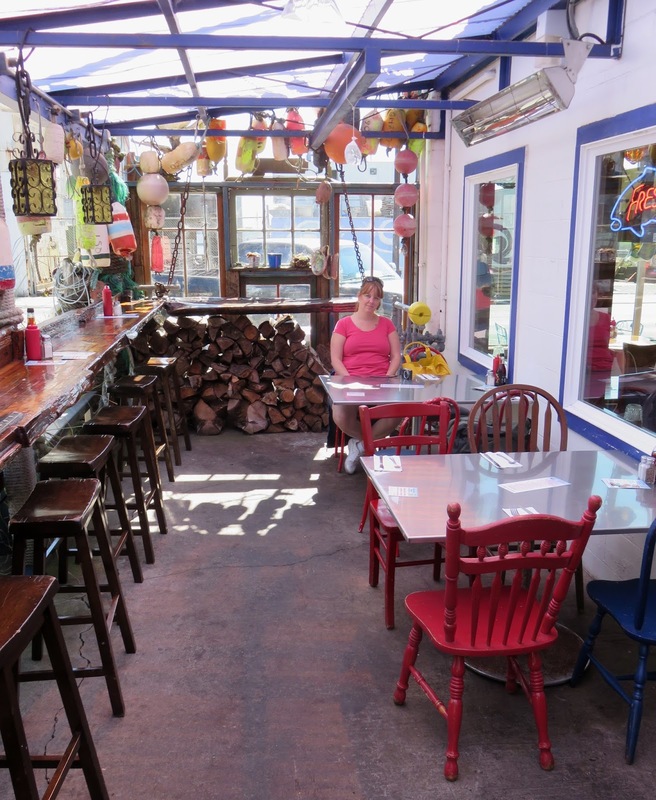 Gino ran his place for over twenty years, becoming well known for its clam chower and fish & chips, until he passed away in 2007. 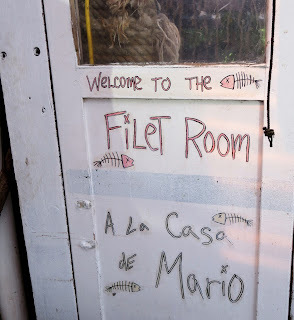 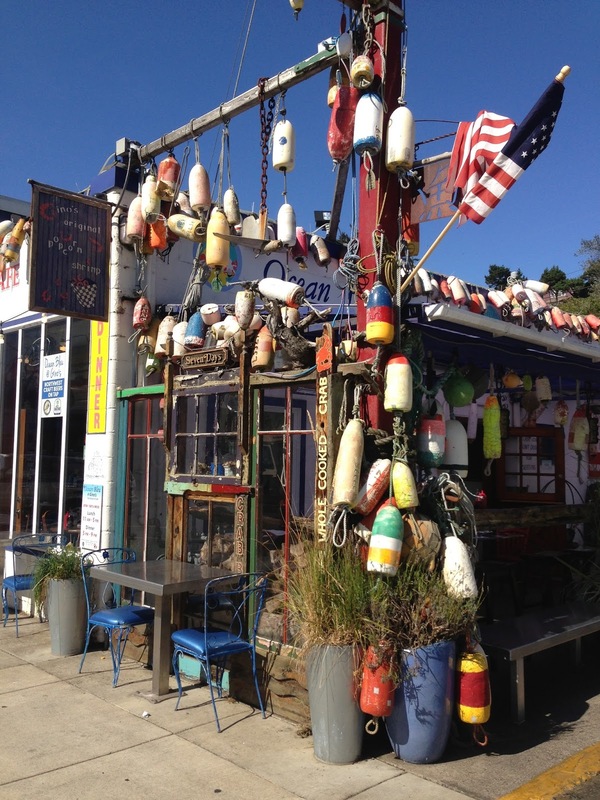 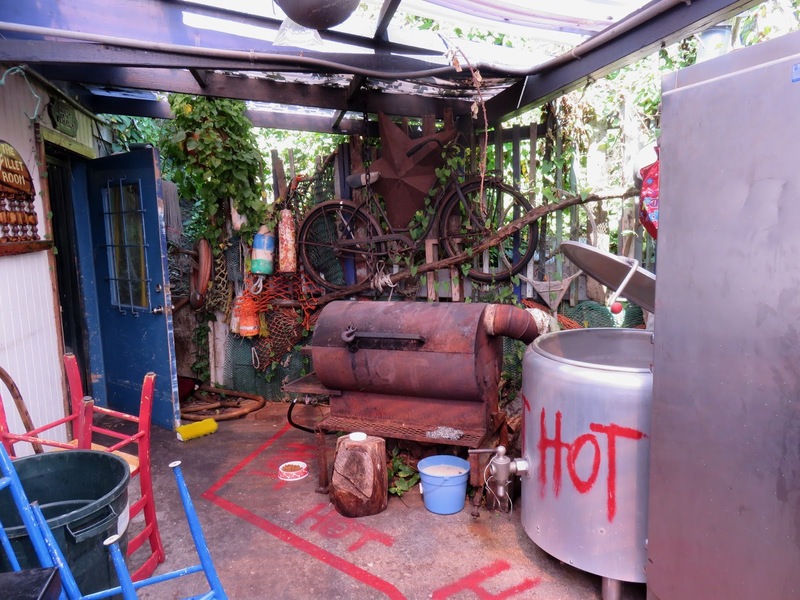 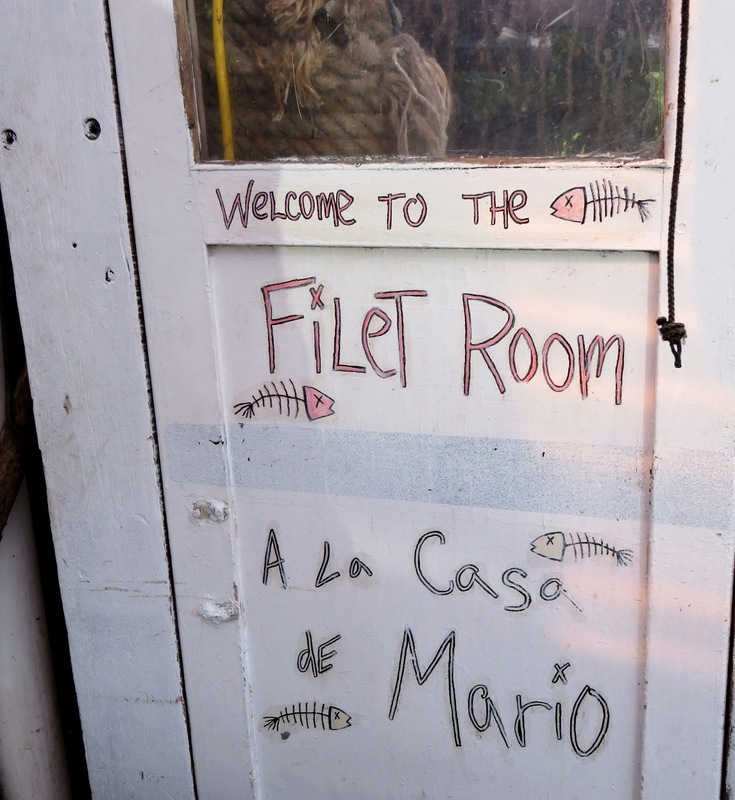 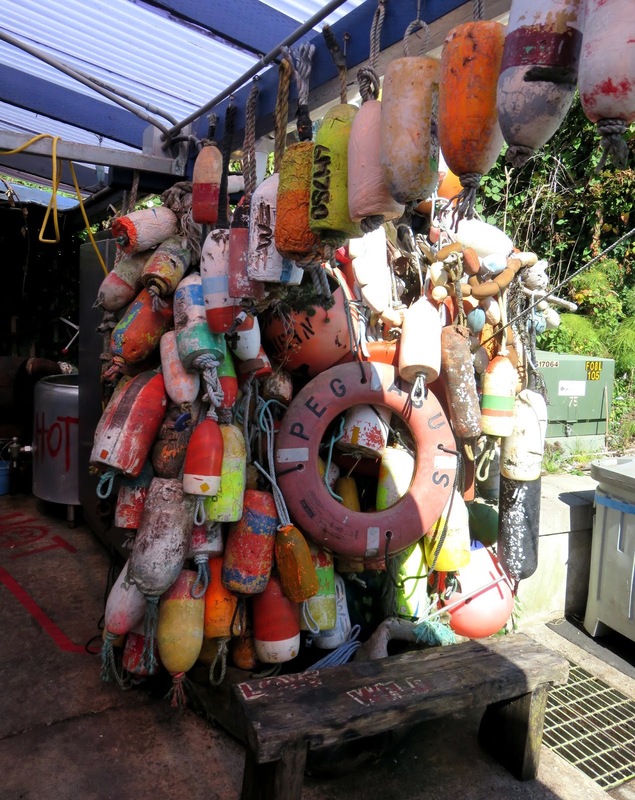 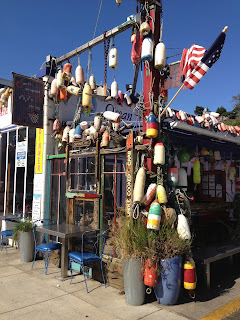 In 2010 Ocean Bleu Seafoods stepped in to preserve the institution, and continue to provide fresh, local seafood from the single-story wooden structure covered in beachcombing artifacts and maritime curios. 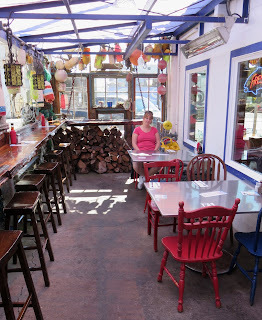 I do not know when they started the bar to go with the deli here, and it's not a can't-miss stop for the bar itself. But it's a nice choice if you'd like a beer or simple cocktail to go with a tasty seafood lunch.